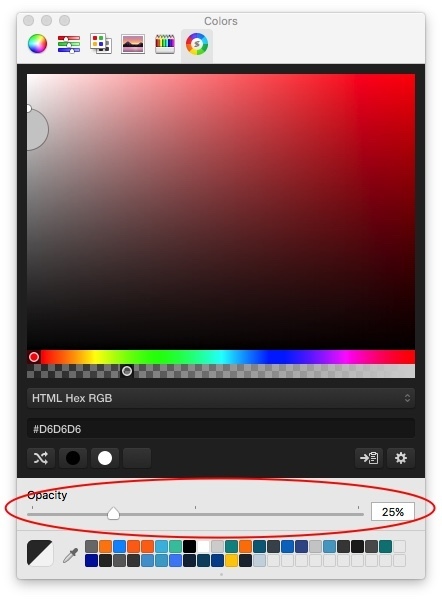 Please, please can we have an opacity slider in the colour picker palettes. It opens up a whole new world of options. PS: Skala Color is nice huh. OK I’m glad I’m not the only one who wants this. I thought it was a built in part of OS X and I use it constantly when building websites. The opacity option is switched off for global swatches, however, you can still use opacity with colours applied via a class. The global swatches need to be re-engineered in order to support opacity, I’m certain it will happen but I can’t give a time frame right now. That’s good to know, Norm. It’s a PIA not to have straight-forward opacity control. LOL, if only it were true in life! There is no rush on this. Anytime before Tuesday will be fine. Any progress made on including an opacity slider in the colour picker? It would be nice to see this in 2.5 or earlier.